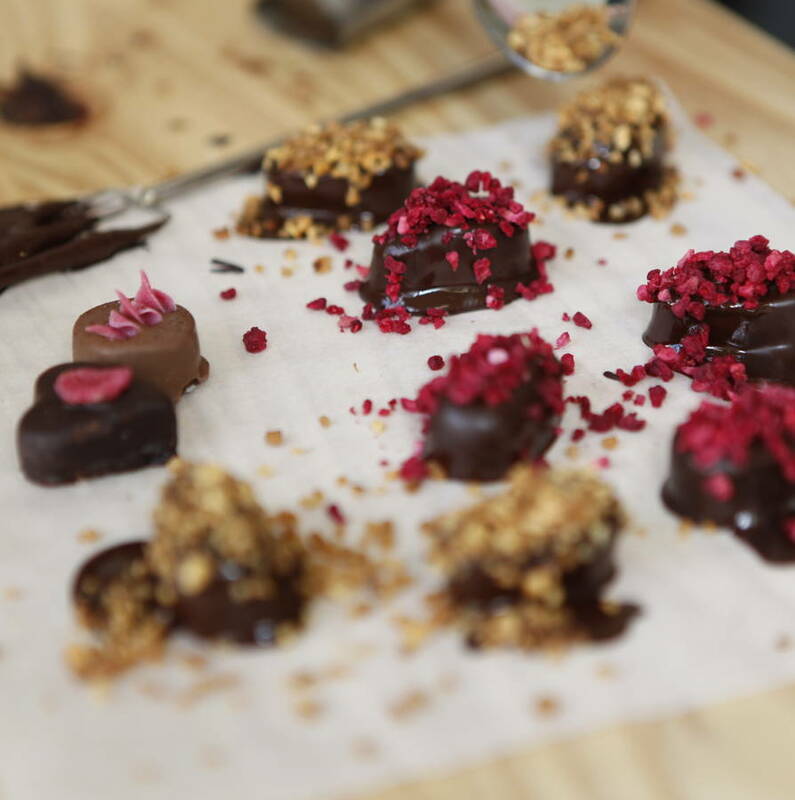 A deliciously fun packed treat with exotic tastings, crafting handmade chocolate slabs, decadent fudge and truffle making and lots of mouth watering melted chocolate. Perfect gift for chocolate lovers, couples or groups of friends and family. 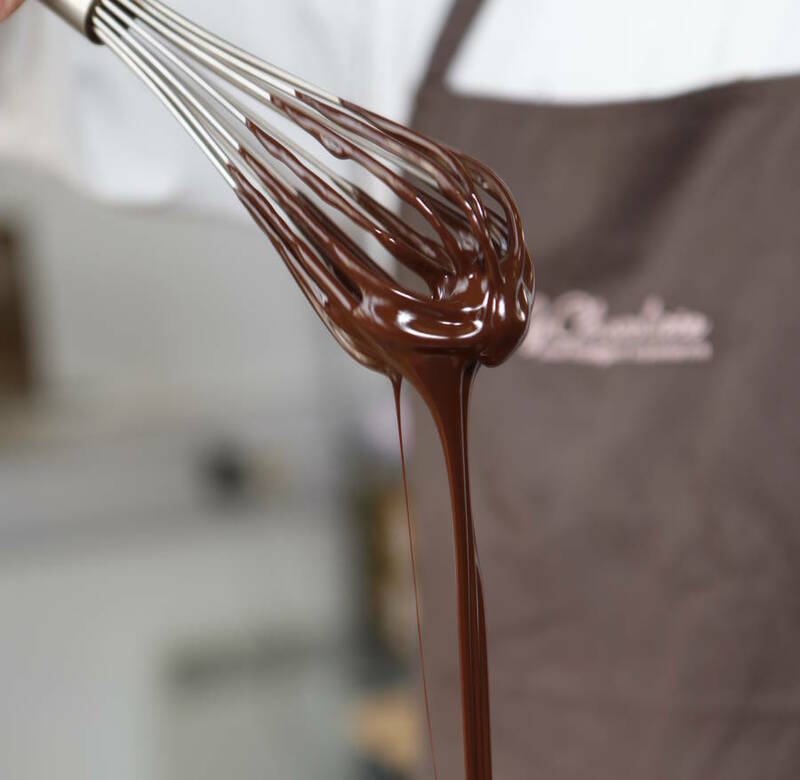 Our Original Chocolate Making Workshop is our most popular chocolate workshop and is a fantastic introduction to the art of chocolate making – a deliciously fun treat packed with tasting, discovery, demonstrations and of course lots of mouth watering chocolate. Not only will you be feasting on chocolate throughout the session but you will also leave laden with your very own handmade chocolates to enjoy. Chocolate Legends and Chocolate Conoisseurs Tasting: Kicking off with a quick (and tasty) history lesson, Master Chocolatiers will guide you through the magical legends of chocolate, with the chance to sample plenty of exotic tasters along the way. With a bean-to-bar discovery and chocolate connoisseur tasting session, you’ll then be sampling raw cocoa nibs, 100% pure chocolate and special secret ingredients, for developing a discerning palate. 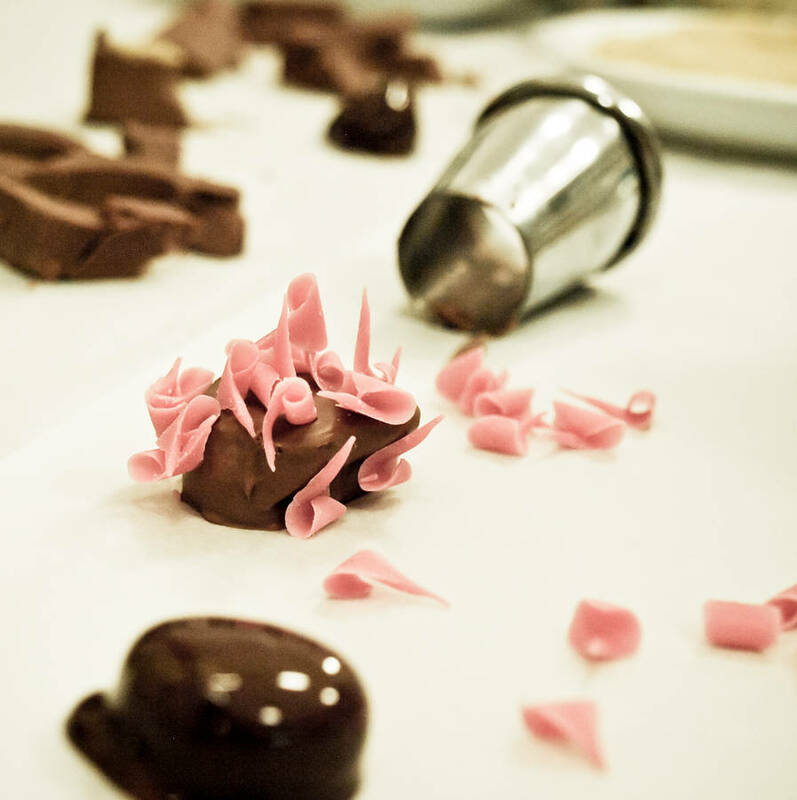 Personalised Chocolate Treats: Diving in to the chocolate making, you’ll be creating your very own personalised giant chocolate button using professional dipping forks to create marbled effects. Fresh Truffle Making: After demonstrations from the Master Chocolatiers, the chocolate making and chocolate decorating continues with fresh-cream truffles. 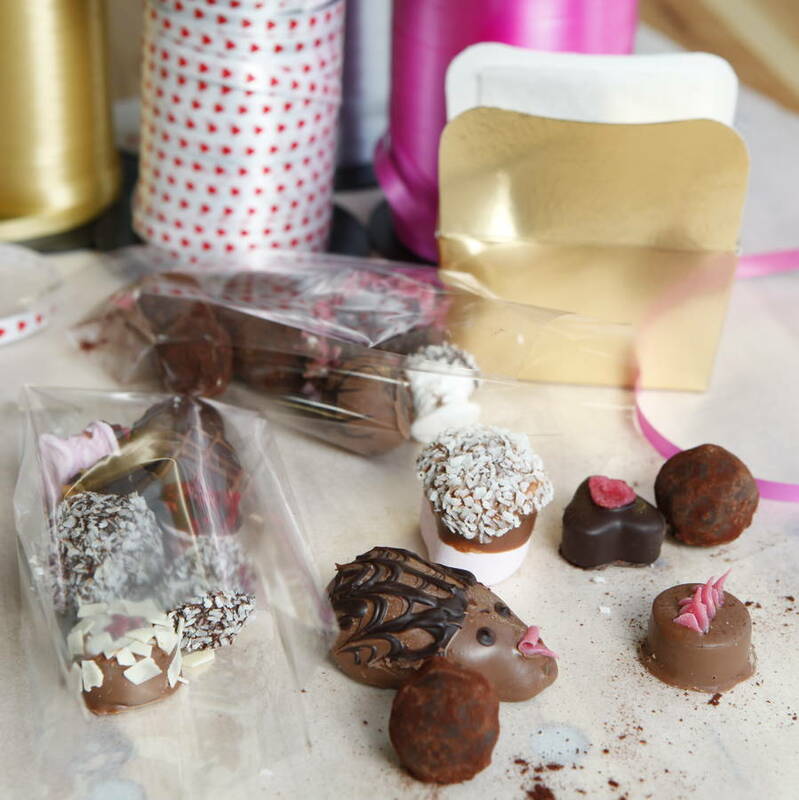 You’ll be dipping and decorating your way to swish creations using dark chocolate ganache, chocolate fudge, bowls of melted chocolate and decorations such as, white chocolate flakes, honeycomb and strawberry curls. Goody Bags: You will leave with your very own chocolate creations (including the giant button and at least 15 handmade chocolates), packaged up in gorgeous ribbon tied bags. Location and times: Saturday and Sunday mornings and afternoons. London, Brightion and Manchester. LOCATION: London near Old Street, Central Brighton and Central Manchester. Arrive no more than 5 minutes prior to the start time of the event. There may be traces of nuts in the chocolate we use. Please ensure you arrive with hair tied back. Contact information for booking a place on this experience will be provided on your voucher. To ask a question or find out more about this experience, get in touch with the seller directly via the ‘ask seller a question’ button above. VALIDITY PERIOD: 10 months from the date of purchase. Voucher holders must book and redeem their place on the experience within 12 months of the order date. General notonthehighstreet.com shopper terms and conditions apply. Bookings are made subject to availability; for best availability, we advise booking within 28 days of your order being accepted. For refunds, a 28-day cancellation period applies. This product is dispatched to you by MyChocolate.